updated to include news on 16 February 2016. The Parent Action Group for Education has since 2008 been seeking the non-abolition of the mandatory policy of teaching and learning of science and mathematics in English but has been thwarted at every turn. We persevered and the policy was resurrected in the form of the Soft Landing in 2011, which will end in 2020 allowing students who started in English to finish in English. 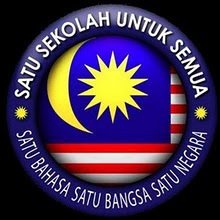 In the meantime this scientific English policy was replaced by a language policy in 2011 called “Memartabatkan Bahasa Melayu, Memperkasakan Bahasa Inggeris (MBMMBI or Uphold Bahasa Melayu, Strengthen the English Language) which continues to be further expanded and developed. In 2015, the Prime Minister with the Economic Council sought a radical approach towards rectifying the appalling state of the English language causing to date over 400,000 graduates to be unemployed. The Education and SRI (Strategic Reform Initiatives) Human Capital Development of Pemandu (Performance Management and Delivery Unit), comprising highly analytical, dynamic and outstanding professionals in their respective fields carefully hand-picked from the private sector, was tasked to explore and recommend this radical solution. Numerous stakeholders were invited including the Federation of Manufacturers Malaysia, the Malaysian Employers Federation, the British Council, advocates of English, think-tanks and scholarship foundations, professors of IPTAs (students in public colleges and universities) and IPTSs (students in private colleges and universities) and most importantly, high-ranking officials from the Ministry of Education and many more, to brainstorm and articulate an effective approach. Dual Language Programme Plus (DLP+). 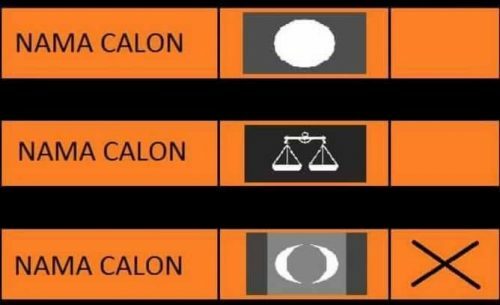 DLP+ would have been the closest we will ever get to the return of English medium schools, excluding the subjects of Pendidikan Islam/Moral and History. Although endorsed by the Prime Minister, the Education Minister and the Economic Council, it was withdrawn by the Ministry of Education for a lack of resources. The philosophy behind DLP is that it is an option for parents (as stated by the Education Act 1996 where “pupils are to be educated according to the wishes of their parents” and not teachers nor critics to choose the medium of instruction. Students cannot achieve operational proficiency through the 15-20 per cent English hours offered in classrooms (as indicated by international research) and therefore other subjects had to be explored; and that the majority of science and mathematics teachers had a minor in English unlike those of other possible non-core subjects and analysed in great detail). Parents will fill in a standard form providing consent for their children to be taught in Bahasa Melayu or English for the four STEM subjects. This was done at the start of the year for Primary One, Four and Form One. A class will be provided where there is a minimum of 15 students in either language. There is no plan to have all the approximately 10,000 schools nationwide offer DLP next year or at any point in time as long as parents do not consent. DLP is designed for students to immerse themselves in an environment where the English language can be applied and practised beyond the English classroom. For students who are already proficient they can assist the teacher and mentor those who are not. Parents, too, have a role to play alongside the teachers in providing support, encouragement and a positive attitude. There is no magic formula. Children and grandchildren of teachers, past, present and future will benefit tremendously too. To give up from the start without even trying would be a great injustice to the innocent child who has infinite potential if they were guided by visionary adults. Critics, especially politicians who reject DLP, are selfish hypocrites who want their children to excel by quietly enrolling their children in international schools where they get to enjoy an English education. Parents who are level-headed and thinking adults will not want their children to add to the 400,000 unemployed graduates. Or do you? !